2019/2020 Opening Budget Debate Presentation: Growth with Equity. Presented by Dr. the Hon. Nigel Clarke, MP, Minister of Finance and the Public Service. Thursday, 7 March 2019. 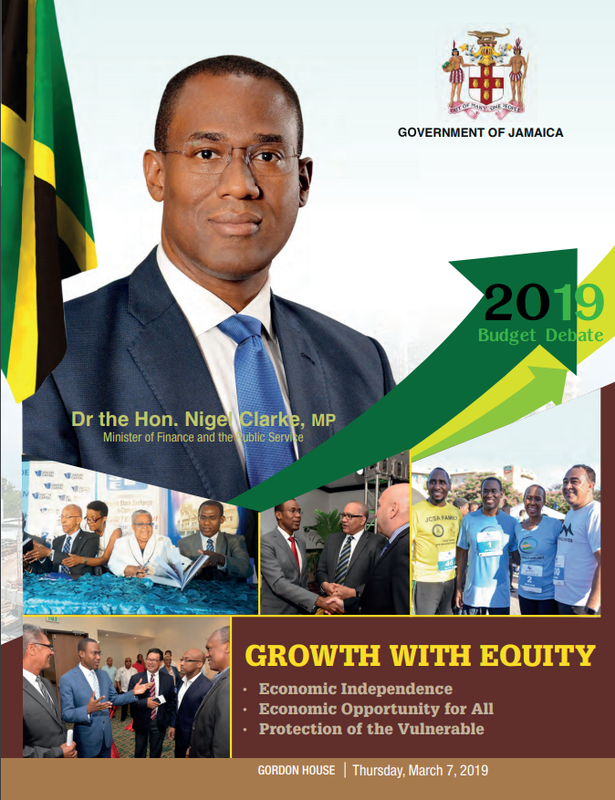 2019/2020 2019/2020 Opening Budget Debate Presentation: Growth with Equity. Presented by Dr. the Hon. Nigel Clarke, MP, Minister of Finance and the Public Service. Thursday, 7 March 2019. 2018/2019 2018/2019 Opening Budget Debate Presentation: Stability, Growth and Prosperity - Our Goal, Our Responsibility. Presented by The Hon. Audley Shaw, CD, MP, Minister of Finance and the Public Service. Thursday, 8 March 2018. 2018/2019 Closing Budget Debate Presentation. Presented by The Hon. Audley Shaw, CD, MP, Minister of Finance and the Public Service. 21 March 2018. 2017/2018 2017/2018 Opening Budget Debate Presentation: The Journey to Prosperity. Presented by The Hon. Audley Shaw, CD, MP, Minister of Finance and the Public Service. Thursday, 9 March 2017. 2017/2018 Closing Budget Debate Presentation. Presented by The Hon. 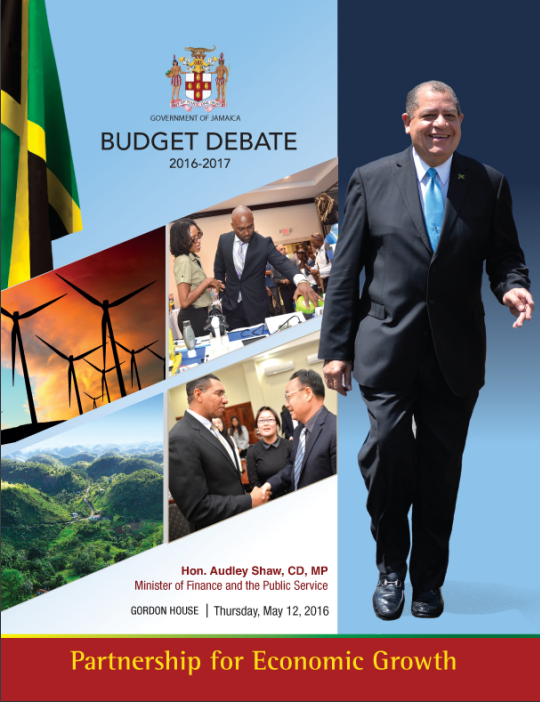 Audley Shaw, CD, MP, Minister of Finance and the Public Service. 22 May 2017. 2016/2017 2016/2017 Opening Budget Debate Presentation: Partnership for Economic Growth. Presented by The Hon. 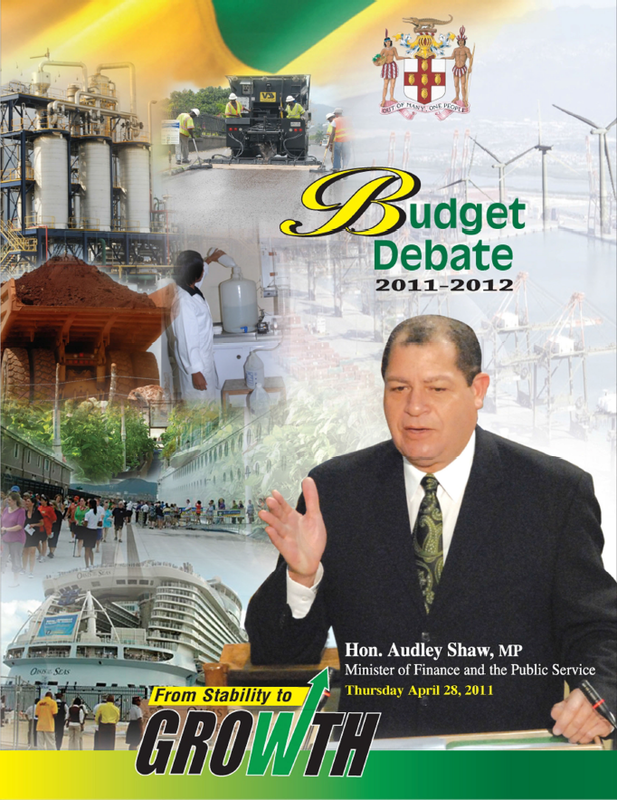 Audley Shaw, CD, MP, Minister of Finance and the Public Service. 12 May 2016. 2016/2017 Budget Presentation by The Most Hon. Andrew Holness, ON, MP, Prime Minister of Jamaica, Tuesday 24 May 2016. 2016/2017 Closing Budget Debate Presentation. Presented by The Hon. Audley Shaw, CD, MP, Minister of Finance and the Public Service. 25 May 2016. 2015/2016 2015/2016 Opening Budget Debate Presentation: Strong Foundation for Growth and the Expansion of Opportunities. Presented by Dr. The Hon. Peter D. Phillips, M.P., Minister of Finance and Planning. 12 March 2015. 2015/2016 Budget Presentation by The Most Hon. Portia Simpson Miller, ON, MP, Prime Minister of Jamaica, Tuesday 24 March 2015. 2015/2016 Closing Budget Debate Presentation: Strong Foundation for Growth and the expansion of Opportunities. Presented by Dr. The Hon. Peter D. Phillips, M.P., Minister of Finance and Planning. 25 March 2015. 2014/2015 Opening Budget Debate Presentation. Presented by Dr. The Hon. Peter D. Phillips, M.P., Minister of Finance and Planning. 17 April 2014. 2014/2015 Budget Presentation by The Most Hon. Portia Simpson Miller, ON, MP, Prime Minister of Jamaica, Tuesday 29 April 2014. 2014/2015 Closing Budget Debate Presentation. Presented by Dr. The Hon. Peter D. Phillips, M.P., Minister of Finance and Planning. 30 April 2014. 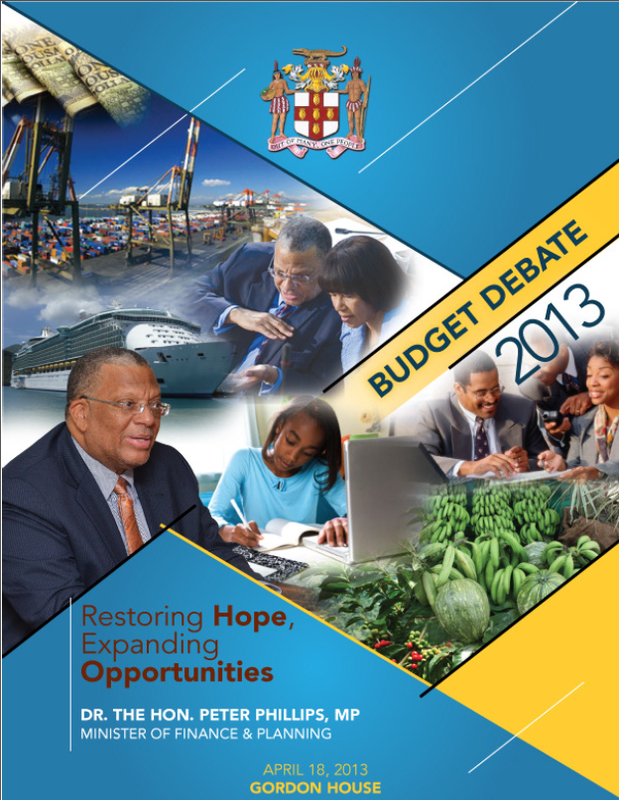 2013/2014 Opening Budget Debate Presentation: Restoring Hope, Expanding Opportunities. Presented by Dr. The Hon. Peter D. Phillips, M.P., Minister of Finance and Planning. 18 April 2013. 2013/2014 Budget Presentation by The Most Hon. Portia Simpson Miller, ON, MP, Prime Minister of Jamaica, 30 April 2013. 2013/2014 Closing Budget Debate Presentation by Dr. The Hon. Peter D. Phillips, M.P., Minister of Finance and Planning. 1 May 2013. 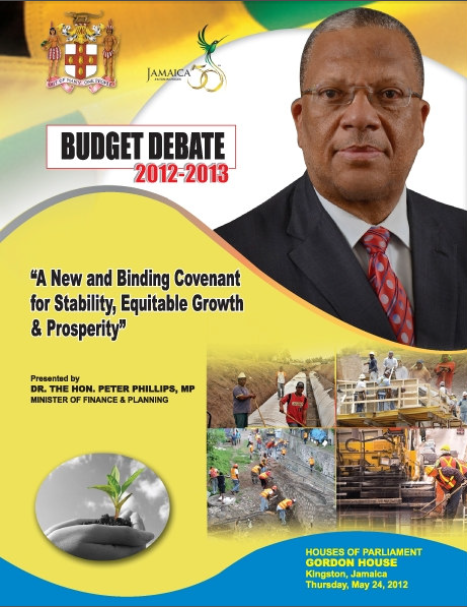 2012/2013 Opening Budget Debate Presentation: A New and Binding Covenant For Stability, Equitable Growth and Prosperity. Presented by Dr. The Hon. Peter D. Phillips, M.P., Minister of Finance and Planning. Thursday 24 May 2012. A Mission with a Vision: 2012/2013 Budget Presentation by The Most Hon. Portia Simpson Miller, ON, MP, Prime Minister of Jamaica, 2012. 2012/2013 Closing Budget Debate Presentation by Dr. The Hon. Peter D. Phillips, MP, Minister of Finance and Planning. 2011/2012 2011/2012 Opening Budget Debate Presentation: From Stability to Growth. Presented by Hon. Audley Shaw, MP, Minister of Finance and the Public Service. Thursday, 28 April 2011. 2011/2012 Budget Debate Presentation by the Hon. Bruce Golding, MP, Prime Minister of Jamaica, 2011. 2011/2012 Closing Budget Debate Presentation by Hon. Audley Shaw, MP, Minister of Finance and the Public Service. Wednesday, 11 May 2011. 2010/2011 2010/2011 Opening Budget Presentation to Parliament. Presented by Hon. Audley Shaw, MP, Minister of Finance and the Public Service. Thursday, 8 April 2010. 2010/2011 Budget Debate Presentation by the Hon. Bruce Golding, MP, Prime Minister of Jamaica, Tuesday, 20 April 2010. 2010/2011 Closing Budget Presentation to Parliament. Presented by Hon. Audley Shaw, MP, Minister of Finance and the Public Service. Thursday, 21 April 2010. 2009/2010 2009/2010 Opening Budget Debate Presentation by Hon. Audley Shaw, Minister of Finance & The Public Service, 23 April 2009. 2009/2010 Budget Debate Presentation: Confronting Our Challenges . . . Securing Our Future. Presented by Hon. Bruce Golding, Prime Minister of Jamaica. 5 May 2009. 2008/2009 2008/2009 Opening Budget Debate Presentation: Development with Equity – The People at the Centre of Our Concern by the Hon. Audley Shaw, Minister of Finance & The Public Service, 10 April 2008. 2007/2008 2007/2008 Opening Budget Debate Presentation. Presented by Dr. The Hon Omar Davies, Minister of Finance & Planning. Thursday, 12 April 2007. 2007/2008 Closing Budget Debate Presentation. Presented by Dr. The Hon Omar Davies, Minister of Finance & Planning. Thursday, 2 May 2007. 2006/2007 2006/2007 Opening Budget Debate Presentation. Presented by Dr. The Hon Omar Davies, Minister of Finance & Planning. Thursday, 26 April 2006. 2006/2007 Closing Budget Debate Presentation. Presented by Dr. The Hon Omar Davies, Minister of Finance & Planning. Thursday, 10 May 2006. 2005/2006 2005/2006 Opening Budget Presentation. Presented by Dr. The Hon Omar Davies, Minister of Finance & Planning. Thursday, 14 April 2005. 2005/2006 Closing Budget Presentation. Presented by Dr. The Hon Omar Davies, Minister of Finance & Planning. Thursday, 27 April 2005. 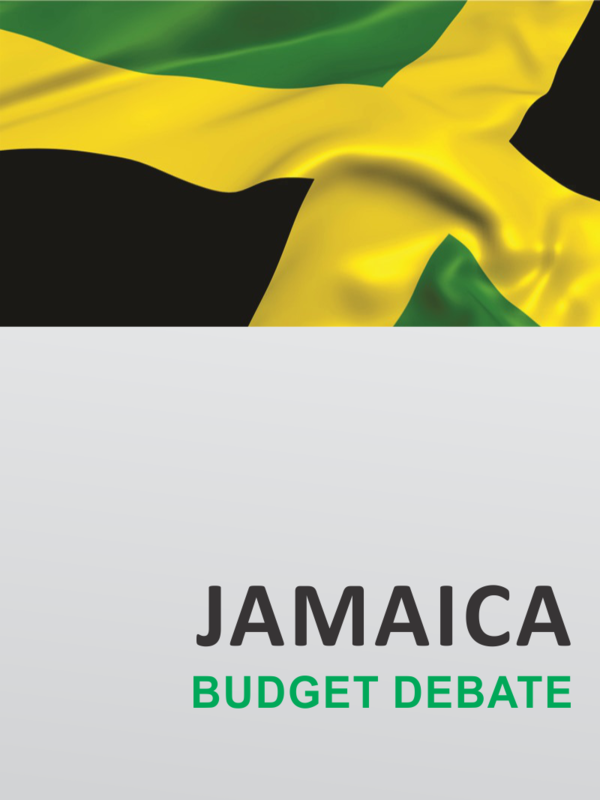 Budget Presentation 2004/2005: A Strong Jamaica. Presented by The Most Hon. P.J. Patterson, ON, PC, QC, MP, Prime Minister. Tuesday, 27 April 2004. Closing Budget Presentation 2004/2005: A Strong Jamaica. Presented by Dr. the Hon. Omar Davies, MP, Minister of Finance & Planning. Wednesday, 28 April 2004. Budget Presentation 2003/2004: Creating a Partnership for Prosperity. Presented by The Most Hon. P.J. Patterson, ON, PC, QC, MP, Prime Minister. Tuesday, 29 April 2003. 2002/2003 Opening Budget Presentation 2002/2003. Presented By Dr. The Hon. Omar Davies, MP, Minister of Finance and Planning. 18 April 2002.